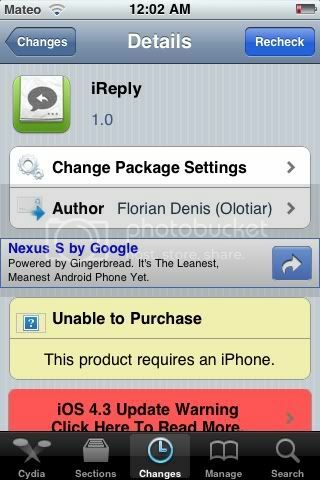 New Tweak in Cydia, IReply, no more unanswered important text messages. Lets say your busy with something and you get a text read it and ignore it. Days after these messages are still unanswered. Important messages are detected by length and you won't miss them anymore. Works on IOS 4 and retina display ready. $1.49 on Cydia. Search for it.